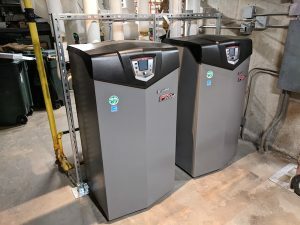 Guardian Energy Management Solutions provides new energy efficient HVAC (Heating, Ventilation and Air Conditioning) services and solutions, as well as modifications to existing HVAC equipment to meet today’s standards for energy reduction. HVAC energy efficiency solutions can save you thousands of dollars in wasted utility costs. Guardian works with your local utility company to develop incentives to help buy down project costs, and implements service and solutions that meet or exceed industry standards in HVAC energy efficiency. Contact us to learn more.